Lakewood is a paradigmatic suburb. It does not quite receive the amount of attention as Levittown but it is known as an important post-World War II suburb of Los Angeles. Read more about the suburb’s unique history on the city’s website. The home depicted is relatively small compared to many of the suburban homes constructed today. This is part of the tidying issues the family faces: the American pattern is to accumulate more stuff over a lifetime (partly to express a certain status) and one solution for adjusting to this stuff is simply to purchase a larger home. The family is depicted as living an ideal family lifestyle: they have been married five years (if I remember correctly), have two small kids, and live in a suburban single-family home. This family/single-family home connection is strong in the suburban psyche. The emphasis of the episode is on the private life of the family inside the home. Even with the show focused on the belongings inside the home, there is very little connection to the outside world, whether neighbors, or the larger suburb, metropolitan region, or nation. All these privately-held goods and familial relationships look like they are in a small bubble that the participants prefer to stay in. Given the suburban emphases on single-family homes and consumption, perhaps it makes all the sense in the world to start such a show in a well-known suburb. My sister had joint-replacement surgery and has high medical bills. I am going through a legal fight with a previous employer, am unemployed for the first time in my life (I’ve had a job since I was 14), and legal bills are eating my 401(k). Our parents know the details. We’re not asking for any help. But I don’t want to get on the phone with my mom and have to hear all the issues of remodeling rooms that looked perfectly fine when I visited a year ago. Plus they don’t even ask how things are going with their children and grandchildren. It’s all talk about superficial things and how awesome they are doing. But let’s back up for a second. You’ve presented this as a two-item menu: either endure your mom’s affluenza, or stop calling your parents. It does not sound as though the McMansion is the actual problem. Yes, the letter writer is upset because the mom both spends money on their McMansion (which, in the letter writer’s opinion, does not need more work) and then spends a lot of time talking about it. But, it seems as though the McMansion could be replaced by a number of objects or hobbies associated with people with resources. It could be golf, fixing up old cars, buying collectible items, playing bridge, or any number of things that, according to the letter-writer, keep the mom from paying sufficient attention to her kids. At the same time, the McMansion is a potent symbol here. Since it is such a pejorative and loaded term, it leads readers toward a particular kind of person: one with poor taste in architecture, lots of money, and an interest in flaunting their status through their home. Additionally, who would prioritize their expensive home over the real needs of their children? These are not just parents who happen to live in a McMansion; these are unlikable McMansion owners. Are McMansion owners on the whole more generous with their family? Do they have money to spare and give it away? Others have argued McMansions are bad for children; it is not clear from this letter whether the advice seeker grew up in this home. Could a whole generation of Americans reveal hurts produced by or in McMansions? Even with the attention they receive, widespread tales of childhood McMansion woes are unlikely given the actual number of McMansions in the United States. A consistent finding of researchers when studying day-to-day suburban life or asking people about their suburban aspirations is the belief that the suburban life benefits families and children. Living alone in the suburbs presents particular problems. That the suburbs are preferable for family life had an early start in Anglo suburbs. Historian Robert Fishman argues early English evangelicals like William Wilberforce moved from London to Clapham to give their wives and children safer and purer spaces outside the city. While the men could commute to the city for work and other engagements, the women and children had their own domain in the suburbs. This image of a safe suburbia for families perhaps reached its peak in the decades immediately following World War II. 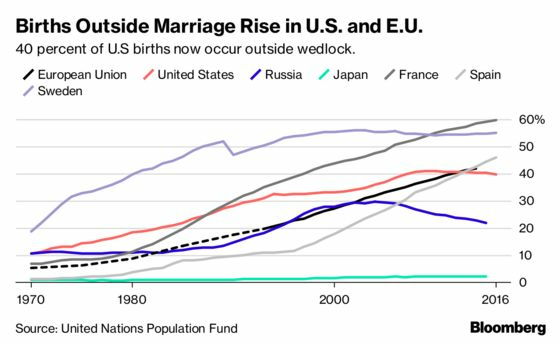 The birth rate jumped (hence, Baby Boomers) and families needed more space. The country and many major cities faced a severe housing shortage. The social scientists who wrote the ethnographic study Crestwood Heights, a study of a Toronto suburb in the postwar era, noted that suburban social life revolved around the children: “In Crestwood Heights the major institutional focus is upon child-rearing.” (4) Even as these new suburbs may have offered few opportunities for teenagers until they could drive (sociologist Herbert Gans said Levittown was “endsville” for teenagers), families flocked to new homes, more green space, and new schools. Television shows of the era depicting suburbia tended to show white nuclear families enjoying a comfortable suburban life (think Father Knows Best, Leave it to Beaver, and The Brady Bunch). Today, many of these ideas about how much better suburbs are for children remain. The suburbs offer more green spaces. They are quieter. They have lower crime rates. There is less traffic. Kids get a more “typical” American upbringing (and the modal experience in recent generations is a suburban upbringing). Single-family homes in the suburbs allow a family to purchase more space for the entire family, acquiring separate bedrooms to extra rooms to larger yards. One of the strongest indicators regarding the importance of families and children in suburbia involves the importance of school districts for the desirability of communities, property values, and helping determine where people move. Schools are important because they are viewed as the one sure thing that can propel children to greater heights: going to a good school district leads to a good college which leads to a good job and then a high income and a comfortable life. These school boundaries must be defended at all costs. Examples abound. This includes both the busing issues of the late 1960s and early 1970s as well as the recent case of students in the failing school district serving Ferguson, Missouri who for one year had a shot at a better education at a whiter and wealthier district until the law was changed. This includes a debate chronicled by anthropologist Rachel Heiman among New Jersey suburbs about which kids should go to which high schools (and the wealthier families were able to keep their kids in the better-performing schools and limit which other kids were able to come to their schools). Whether suburban children always come out ahead compared to kids from cities or rural areas is less clear. Even if the suburbs can be exclusionary, some upward social mobility is possible, such as one study that suggested DuPage County offered more opportunities than other counties or programs from the federal government, such as the Gautreaux Program or the Moving to Opportunity program, that aimed to move kids from poorer urban contexts to wealthier suburban communities. Part of theexcitement about a return of Americans to cities involves the choices by some families to stay in major cities, such as the influx of families to Battery Park in Manhattan. But, many Americans associate the suburbs with kids playing in the yard, multiple institutions that help nurture children and family life, and successful family outcomes decades later. One popular answer is that the Internet of Things is still in its infancy and that better technology and standards are within reach and will lead to greater integration, and thus, greater smartness in the not too distant future. There is some value in this explanation. Everyone who has ever tried to get an IP camera to work on a cell phone will probably agree. But this answer is also entirely steeped in a technological mindset and the naive belief that better technology will automatically improve our lives. The suggestion here is that new technology is only as good as the improvements in social interactions that it brings. Way before the smart home, modern consumers have been promised all sorts of benefits from new technology but the created items don’t always lead to the desired social outcomes. Cars enabled easier transportation but led to more private existences and increasing sprawl. Similarly, more single-family homes gave people space but helped spread them out. The radio and later television delivered mass media, theoretically connecting people, but also led to people sitting around these items. Modern appliances were to save labor. The Internet allows unprecedented customized access to information yet can lead to echo chambers and isolated interactions. Autonomous vehicles will create more free time or more time to work? Perhaps this should be a challenge for smart home innovators: how can new devices both help in their particular area (say heating or lighting or saving energy) and foster social interaction? This may actually be the harder part.